Place cream cheese in the bowl of a stand mixer and blend until light and fluffy. Add in brown sugar and powdered sugar and blend on low speed until fully incorporated. Beat in molasses, vanilla, ginger, cinnamon and nutmeg until smooth. Fold in whipped cream. 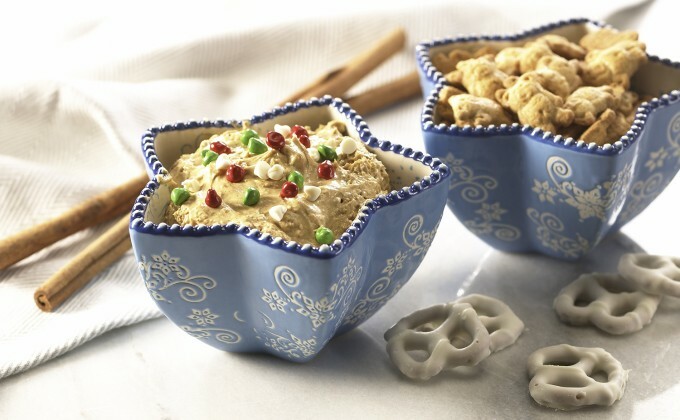 Scoop into your temp-tations® star-shaped ramekin. Cover and refrigerate until ready to use. Serve with Teddy grahams if desired.